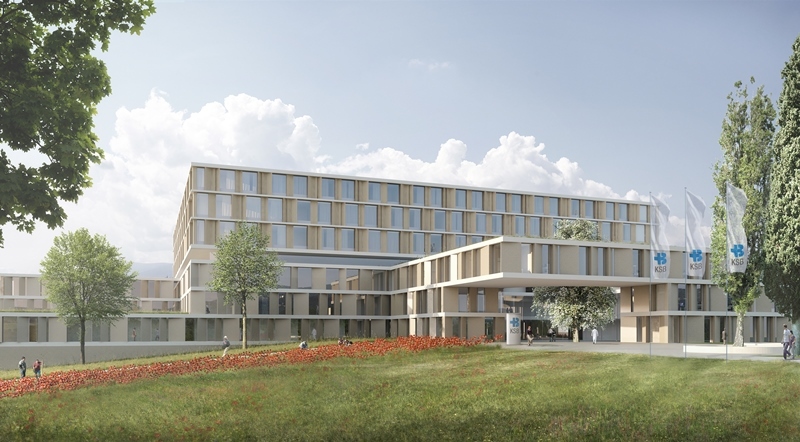 After winning the bid for the new building of the Kantonsspital Baden (KSB) in Switzerland, MMI Schweiz AG was commissioned for the medical conception and planning of the hospital. MMI is part of the General Contractor team led by Nickl & Partner Architects Schweiz AG. 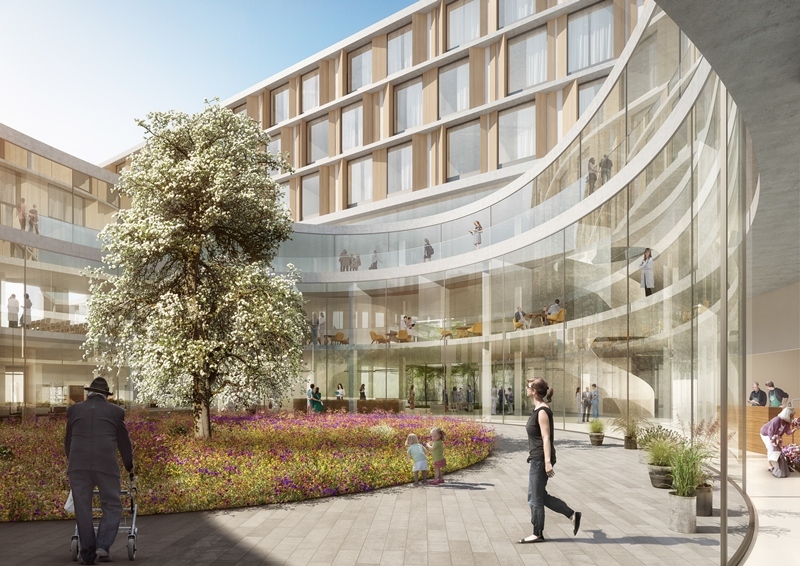 The Nickl & MMI planning team has designed a hospital that offers a modern, efficient, patient- and staff-friendly infrastructure with plenty of natural light. The plan creates the necessary conditions to ensure that the hospital can work more profitably in the future. It can be enhanced flexibly and operations can be improved with minimal effort when required. During the planning process, the latest findings in hospital construction were implemented such as the use of innovative modular and flexible structures. The hospital can thus respond quickly and appropriately to various future development scenarios. It was considered whether refurbishing the existing hospital building as opposed to planning a new one would be a potential solution. However, it was decided that a new building would offer more sustainable structures for the future. The restoration of the old building would not have offered the desired flexibility and viability. The hospital also wanted to avoid long-term restrictions on hospital operation due to construction noise and other disturbances. The costs for the new building were determined to be in a similar range as the renovation.